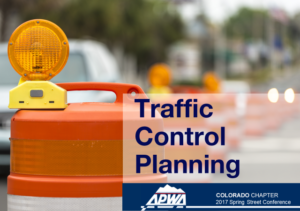 ETA CEO, Janie Hollingsworth, was honored to speak at the American Public Works Association (APWA) 2017 Spring Conference held in Grand Junction, Colorado. Janie, a certified traffic engineer, discussed the major challenges facing public agencies when planning for large-scale events and construction projects. Public Works’ representatives throughout the region were in attendance as Ms. Hollingsworth presented best practices related to incorporating a seamless transportation management plan. One key point of the presentation focused on how public works and municipal stakeholders can facilitate the movement of pedestrians and traffic more efficiently, thus reducing congestion through communities. ETA is a leading global provider of both large-scale event transportation and traffic engineering. More About ETA.